Home > Reward Credit Cards > What Are Cash Back Credit Cards and How Can You Use Them? What Are Cash Back Credit Cards and How Can You Use Them? Most people have a credit card these days. In fact, a study for June 2010 showed that Americans had over $800 billion in revolving credit with the majority of that being credit cards. For some people the declining economy has meant a severe problem for paying their minimum credit card payments. But for others, they are continuing to use their credit cards responsibly and are making their monthly payment regularly and not increasing their credit spending. For the people who use credit cards for every day purchases and pay off more than the minimum balance very month, cash back credit cards are a great option. The way cash back credit cards work is pretty simple. You make purchases. You get a percentage returned on those purchases. But, how is that possible? Actually you are not getting money back on your purchases you are really getting some money on the commissions merchants pay to credit card companies. Most people are fairly familiar as to how credit cards work from a consumer perspective. You receive a credit card. That credit card has a credit limit and an interest rate. You make purchases and make payments on the purchases. If you have a balance you carry forward you will have to pay interest on that balance that will be added. But not everyone understands how it works from a merchant’s point of view. In order for a company to accept your credit card for payments they sign an agreement with the credit card company. They pay a percentage of the transactions to the credit card company as a commission. So, when they close their accounting at the end of the day all their purchases total a certain amount. However, a percentage is deducted from that for commissions that go to the credit card company and the remainder is released to the company and deposited into their banking account. The percentage that is paid to the credit card company is what you get back with cash back credit cards. Some credit card companies split this amount with the consumer as an incentive. 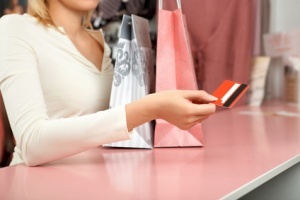 Are Cash Back Credit Cards Beneficial? Cash back credit cards are extremely beneficial if they are used correctly. The ideal candidate for cash back uses them out of convenience and pays off the entire balance or close to it, every month, keeping no balance or a very small balance each month. The premise to this is you have to use credit cards anyway, why not get something out of it? The bonuses can be used as an extra reward or splurge to yourself or it can be invested for even more benefits. You can even use it to pay other bills. Really, you can use the cash you earn for virtually anything. The cash back amount depends on various factors and each offer is different. Typically the basic credit cards give a half or on percent of purchases back to their customer. However, sometimes this can be higher. Or, it can be higher for a limited time. Some credit cards entice new users with an offer of up to 5% cash back. However, if you look at the fine print closely you will see that the 5% is available for only a limited time and after the introductory offer limit is over you will revert to a much lower amount. The other consideration for the amount of cash back is the type of purchase. Some credit cards do not give any cash or limited cash on particular items. For example, you may get a higher percentage of cash back on gasoline but purchases of alcohol are not eligible toward cash back. The best way to determine which of the credit cards are best for you is to compare several back to back and look at your spending habits. If, for example, you have a cash back credit card that gives 2% on all purchases but alcohol and liquor and you use your credit card regularly to buy beer, this may not be the ideal credit card for you. So, make sure you compare all the options and your own spending habits to come up with the best possible credit cards for you. If used properly there is no real downside to cash back credit cards. But sometimes people get a false sense of security with them or fail to look beyond the cash back advantages. For example, you may have a higher interest rate with a cash back credit card. If you could get a lower interest rate as opposed to a cash back that would be a better situation if you ever carry over a balance. A 1% cash back on your purchases is not better than getting a 2% deduction from your interest rate. So, when considering whether or not to use cash back credit cards make sure that is not the only consideration and you look at the entire picture. Also, some people may unintentionally charge more than they normally would on credit cards with the intention of paying it off every month. However, if something happens or there is not enough money to do so, the balance carries over. This is something a lot of people fall prey to and can be very easy to get into. If you use cash back cards do not overcharge your credit card just to get more cash back because you may find yourself in a financial bind if you suddenly do not have the money to pay it as you thought you would. While there are some potential problems with cash back cards, for the most part they are good if used properly.